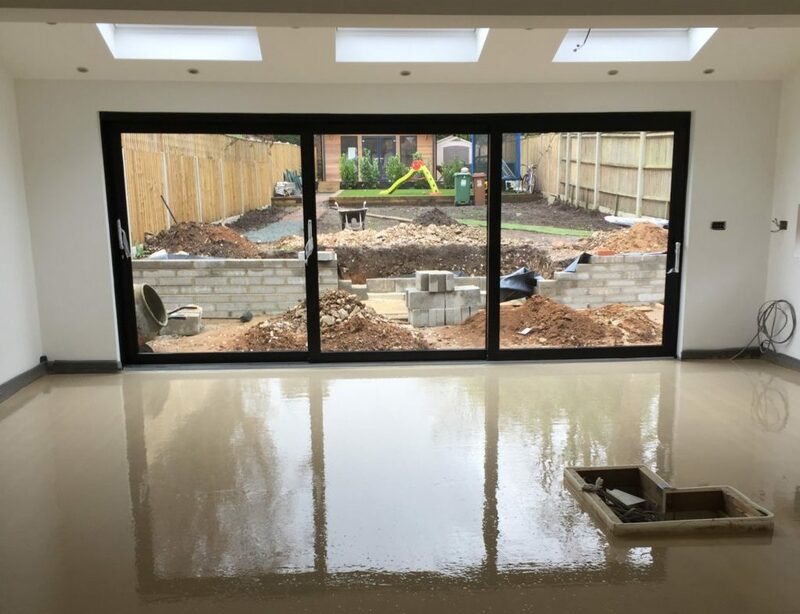 London Flow Screed provides a superior type of floor screed to all properties in and around the county of Surrey. The type of screed we use is called liquid flow screed. It is designed to provide an extremely smooth and level surface prior to any final floor finishes. It can be used bonded or un-bonded, floated, with our without underfloor heating. Using an inovative pump system, we will directly pour the screed into situe directly to your site or property. We can provide any prep work, after floor finishing, underfloor heating, anything you need, we can take care of it. As the flow screed is premixed, and is fast to dry, this means minimal dispruption to you. Every project is bespoke, and priced accordingly, what we can say however is because we are a local family run business our prices are the most competitive around. This type of flow screed also means that that you save on wastage, labour costs, and drying times. Its totally effiencent.